French doors add a touch of classic elegance to any space, creating a feeling of openness and light in a traditional style. Depending on the amount of space available, French doors can open outwards or inwards, creating an elegant entrance into your garden. 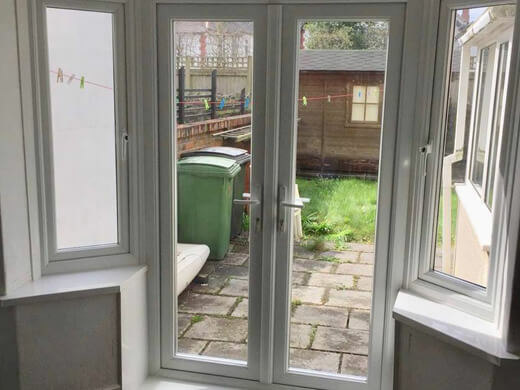 Many of our customers in Cardiff and the surrounding area often adapt an existing window into French doors, which results in a stunning transformation of their space, drawing attention to the outdoors and creating an overall increase of natural light in their home. 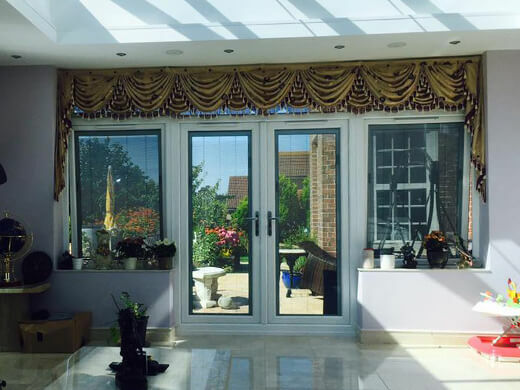 French doors are also frequently used by our customers to section off areas within their homes, keeping contrasting climates separate in instances such as a conservatory, or for the purpose of dividing a large family room. 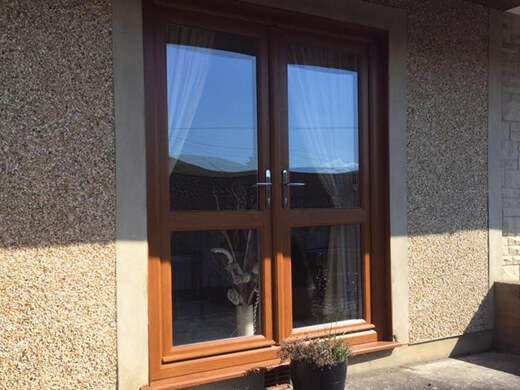 Here at South Wales Windows & Doors we make our French doors to your exacting requirements, so you can achieve any look or style without boundaries. Our French Doors are made of the very highest quality materials offering lots of benefits and sophisticated features. French doors are traditionally known for their beauty and elegance, and our French doors are no exception. We have installed our French doors in properties across South Wales. In this gallery you can see some of the incredible results we have been able to achieve for our clients. Get in touch if you think our French doors are the right doors for you. 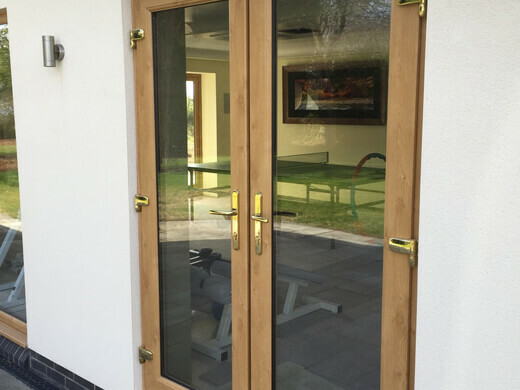 Our French doors come with some special features that guarantee they’re secure, including anti-pick and drill locks, solid steel reinforcing and toughened glass. You can be confident our French doors will improve the safety of your home. We use the latest energy efficient toughened glass technology, meaning you’ll have a set of French doors that not only look good, but will retain the best level of comfort and style in your home. For added convenience, our French doors require very little maintenance. A simple wipe down with some soapy warm water is all they need to keep them looking clean and new! Our French doors come in a range of styles and colours to help you transform your home. Standard colours include white, woodgrain and light oak, but more bespoke coloured finishes are available thanks to their growing popularity. 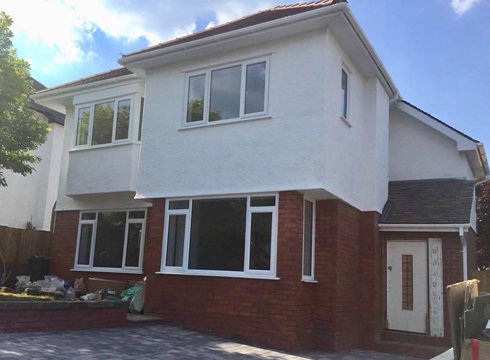 If you would like any further information regarding our French doors in the Cardiff and South Wales area, please fill in our online enquiry form or call us on 02920813488.